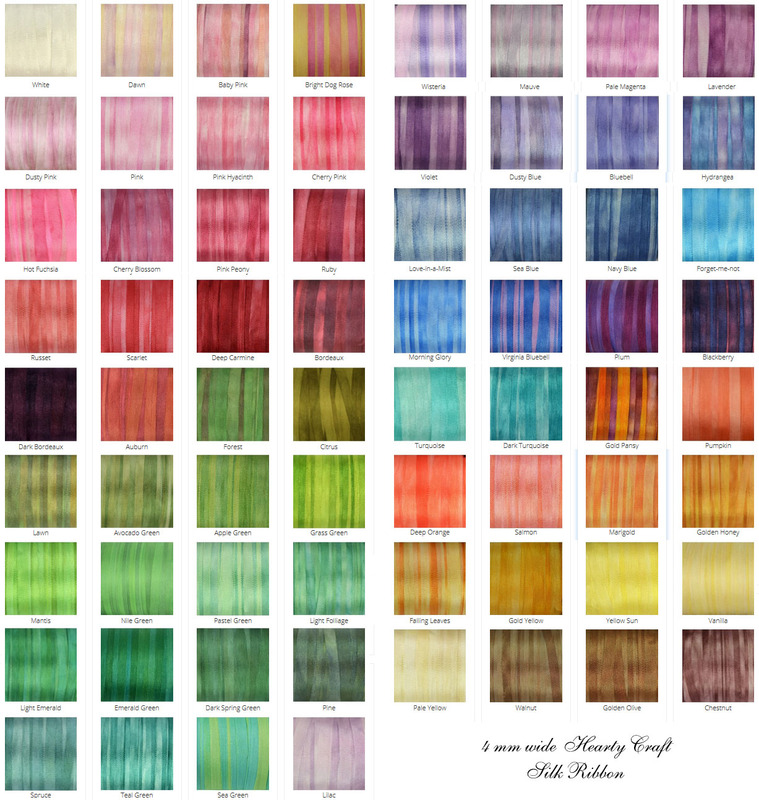 Four new shades have been added to our 4mm wide silk ribbon palette this week. They are Nile Green, Vanilla, Dusty Pink, and Plum. The Nile Green shade is also available in 2mm and 7mm widths. This entry was posted in Site News on 15th June 2015 by Zinaida.